By Gini Beaumont, Assistant Volunteer Coordinator/Reception, YWCA Edmonton, Canada . 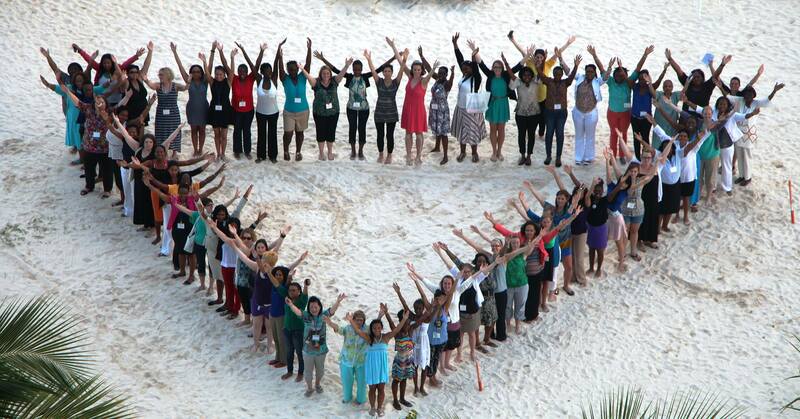 Gini attended the the North American and Caribbean Young Women’s Leadership Conference that took place in Barbados, 20-22 June, 2013. During the end of June I was fortunate enough to have the extraordinary experience of attending the first ever North America and Caribbean Region Young Women’s Leadership Conference. This inaugural event granted me the opportunity to work with young women, not only from these regions, but to connect with women from the World YWCA. Cultivating working partnerships, sharing ideas and stories, and supporting each other through creative leadership were overarching themes that, fueled by the narratives of dedication and passionate work being done each day, created an atmosphere of motivation and limitless possibility. We were treated to such delights as a reception at the Prime Minster of Barbados’ house, a film screening of Pray the Devil Back to Hell including a Q&A with producer, Abigail Disney and a “Cultural Night” with dishes from all over the Caribbean and entertainment from the Barbadian Police Band! We were also fortunate enough to hear from Dr. Deborah Thomas-Austin, President of the World YWCA, among other inspirational women. Learning about the struggles and successes of the considerable variety of programmes offered by YWCAs throughout North America and the Caribbean makes me more proud to be a part of this global association and helped me feel more connected to the movement, despite us again being dispersed all over the continent. Each day while listening to speakers and participating in workshop sessions I felt so thankful to be surrounded by these women who are working separately, yet side by side, to make a difference for women around the world and am inspired to continue my work here at YWCA Edmonton, applying what I have learned to my every day work, but also to continue to promote the leadership of young women here and across the globe.